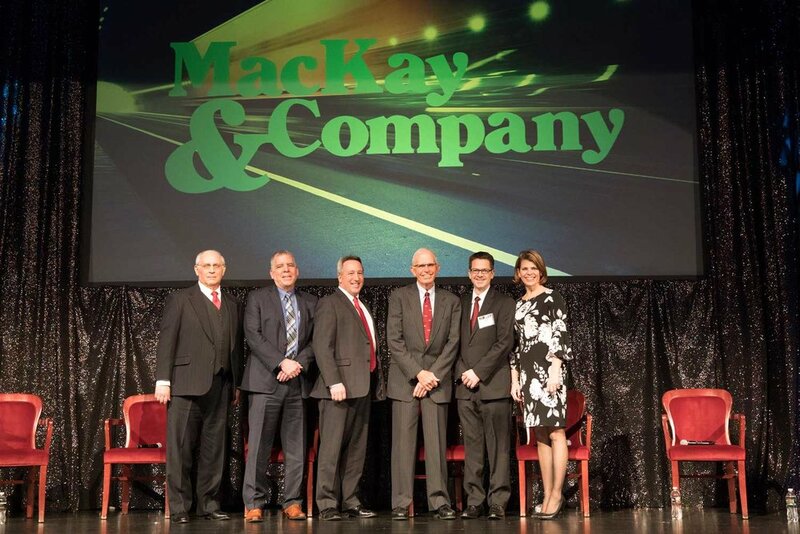 eNews March 2018 — MacKay & Company, Inc.
2018 Heavy Duty Aftermarket Dialogue attendees enjoyed an informative, insightful and entertaining day-long program focused on the Aftermarket for heavy duty truck parts. 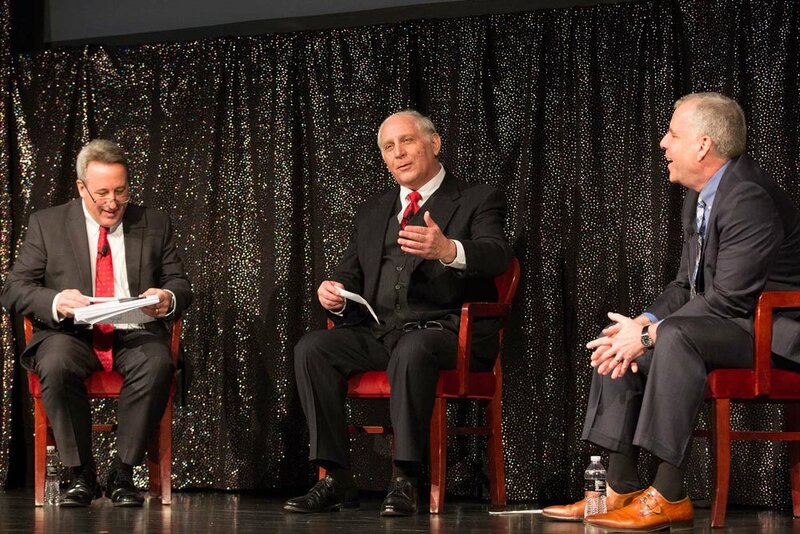 A lively panel discussion with fleets, representing a variety of vocations, added end-user perspective including maintenance practices and future parts and service needs. 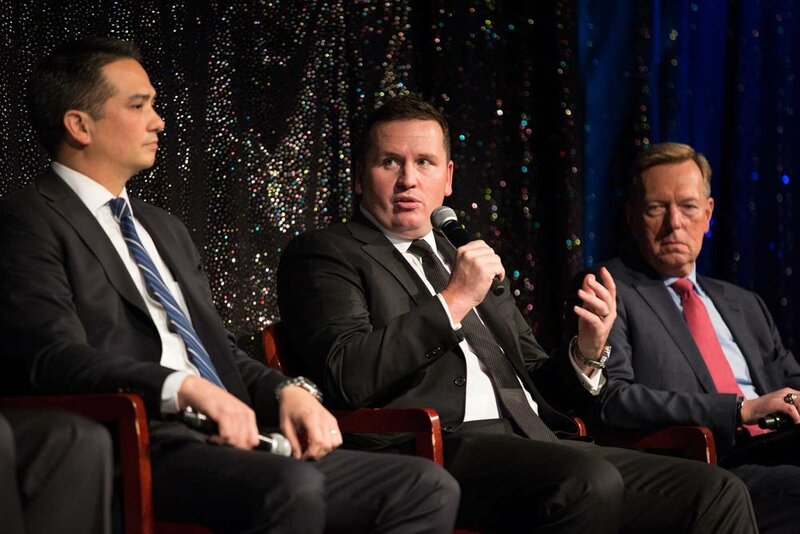 Our panel of distributors, dealers and service providers addressed their navigation through the disruptors they’re facing in the aftermarket. 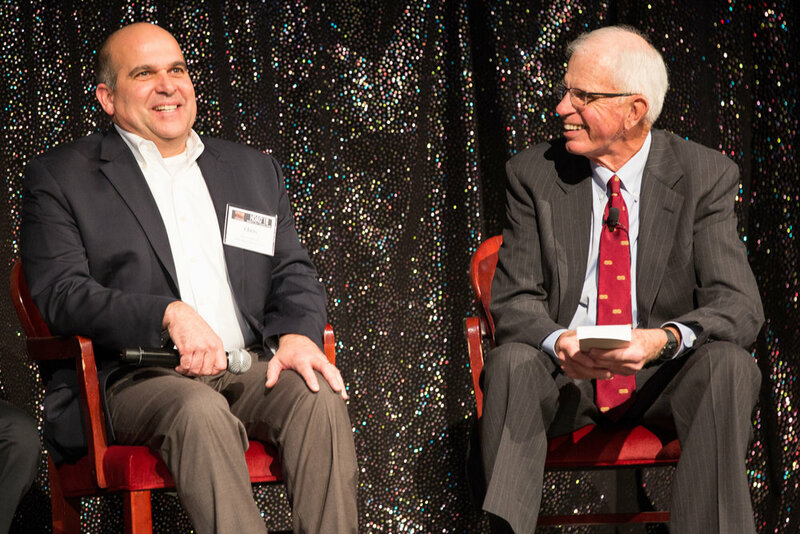 Economic perspectives and the current state of the Aftermarket rounded out the day. Thanks to all who shared in the day. Please mark your calendar for January 28, 2019 for HDAD 2019. DataMac® Lube Light Duty detailing lubricant usage in Class 2c-5 vehicles has just been released. Additionally, our redesigned web application is now available. 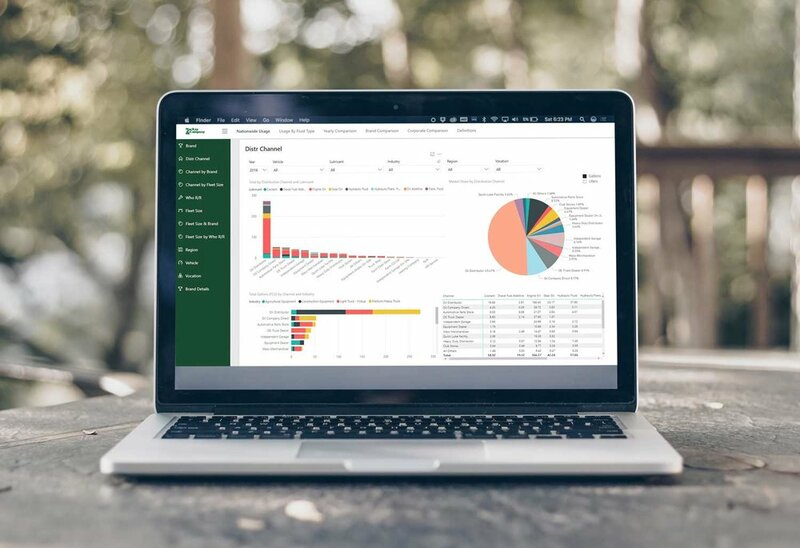 With an entirely new interface, our clients have the ability to analyze the data through a multi-graph display. We would be happy to provide you with a demonstration. This NEW design is now available for ALL of our DataMac® Lube products: Medium & Heavy Truck, Construction Equipment, Agriculture Equipment and Light Duty. 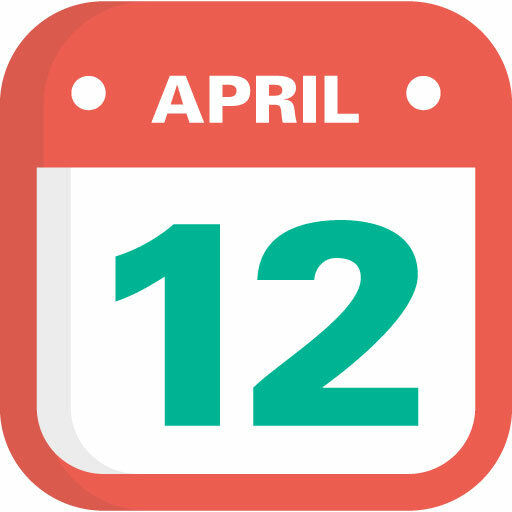 Our Spring DataMac® Webinar is scheduled for Thursday, April 12th at 1:00 p.m. (CST). We will be sending your invite soon with more details. The latest figures for February 2018 on trucking employment just released by the Bureau of Labor Statistics, show 1,470,000 persons working at firms whose primary task is hauling freight. This is a gain of 19.2% from the post-recession low in employment of 1,233,000 persons set in March of 2010. 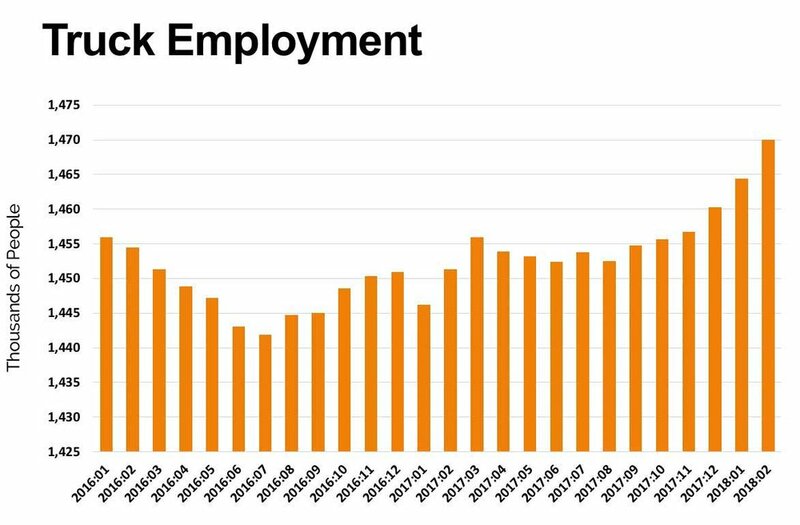 Over the past eight years, trucking employment has been rising at a pace mirroring the general advance in economic activity and freight volumes. Because the BLS estimate of trucking employment is based on a survey of firms whose primary business is hauling freight, their trucking employment number understates the number of persons who are driving trucks. Persons who drive a truck for a grocer are counted under retail employment. Persons who drive a truck for a steel mill are counted under manufacturing. The full implementation of the ELD mandate over the course of 2018 is expected to impact the demand for drivers as all firms who operate trucks adjust their procedures to conform to the new regulatory framework. The question now is whether the ELD mandate is a continuation of the transformation of our industry that began with deregulation back in the 1970s or, the beginning of “re-regulation” to a tighter operating environment such as that which existed before the passage of the Motor Carrier Act of 1980. Last week, we published the March TEA®, Truckable Economic Activity report. With the release of the 2017 year-end GDP numbers (including all revisions), our 2017 numbers are now final. 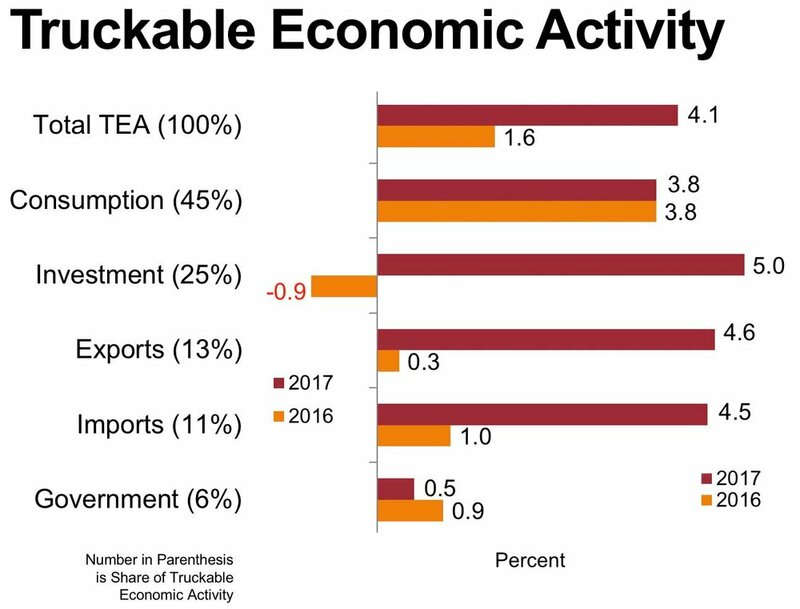 As you can see, improvements in 2017 TEA® compared to 2016 are apparent in all sectors, most notable being those seen in Investment, Exports and Imports. The gains appear to be sustainable as we move forward into 2018. Need more detail on TEA®? Contact us.